These are the top best accessories which every Samsung Galaxy S9 and Galaxy S9+ user should have. The cat’s out of the bag and the Galaxy S9 and Galaxy S9+ are finally available to pre-order. While the smartphones won’t be available to buy till the end of this month, therefore it’s a good idea to stock up on the best accessories you can find. But wait, we’re gonna make things easier for you. Rather than laying down a ton of options like we have in the past so you can pick out the best one for yourself, today’s list includes the top best must-have accessories which you should buy. So, let’s jump right into it, starting with the screen protector, the most basic of protection for your device. There are a ton of options available right now, but it seems as though our readers have a fond liking to this particular screen protector. It has a unique wet application method that settles down like no other screen protector out there. It offers excellent protection while leaving no imperfections behind such as those miserable looking rainbow patterns. The NeoFlex costs just $8.99 and comes in a 2-pack. 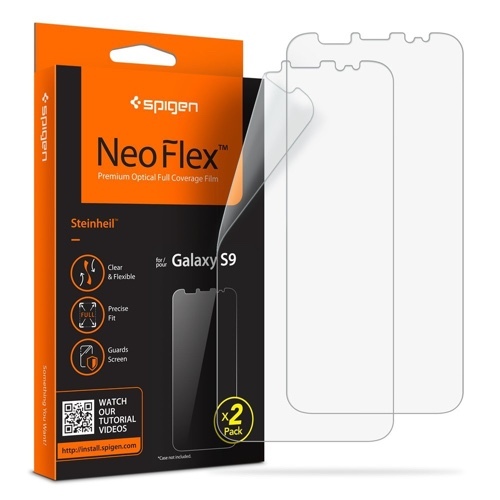 This is a simple, no-nonsense case from Spigen that’s transparent enough to show off your phone completely, and offers excellent drop protection. That’s not all though, the real winner of the show here is that kickstand at the back. It’s ideal for times when you just want to kick back, relax and catch up on your favorite show while sipping coffee. 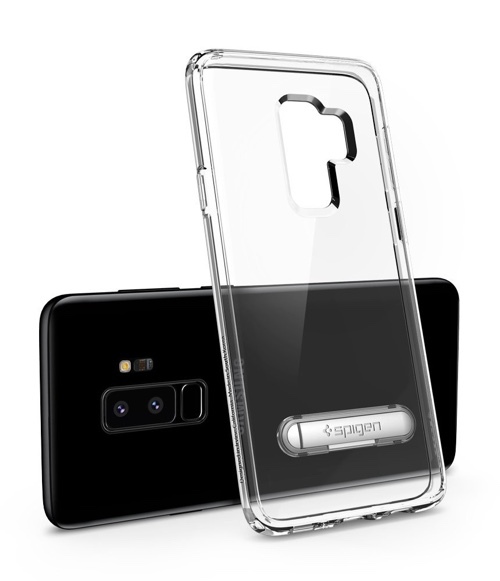 The Spigen Ultra Hybrid S case costs $14.99 for Galaxy S9 and $15.99 for Galaxy S9+. If you’re getting the Galaxy S9 or S9+ then you need to charge it up in style, that too completely wireless. But not any wireless charger would do here – you need a fast wireless charger that checks all the right boxes. No one does it better than RAVPower as it offers fast charging up to 10W and it ships with a Quick Charge 3.0 charger and a nylon braided USB cable right in the box. It really does not get any better than this. 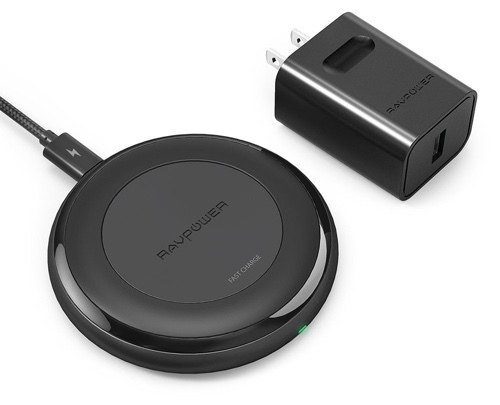 The RAVPower Fast Wireless Charger costs $49.99. Have you ever come across a cable that would make you invincible? You haven’t? You have now. 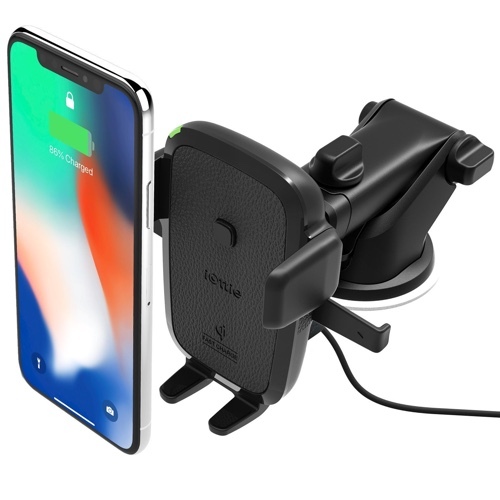 This one’s from Nomad is completely universal and comes with multiple tips (microUSB, Lightning and USB-C), so you can literally charge any device you have in your pocket, including your Galaxy S9 or Galaxy S9+. 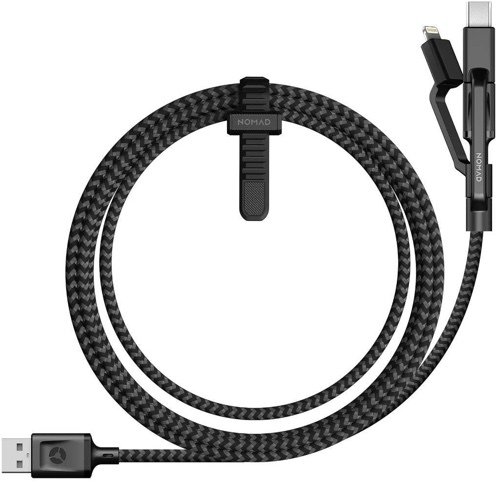 The Nomad Ultra Rugged Universal Charging Cable will cost you $34.95. Thanks to the Galaxy S9’s microSD card slot, you can rest assured that you will never ever run out of storage space. Get the Samsung 64GB Evo Plus memory card and you’re set for a long period of time. 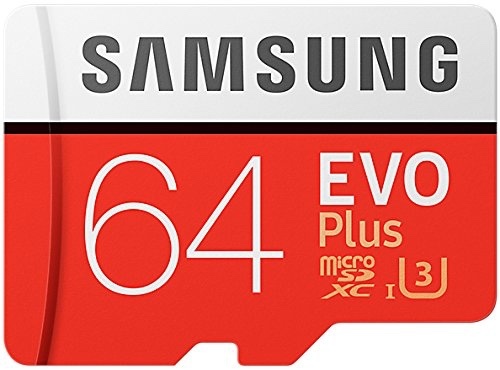 The Samsung 64GB MicroSDXC Evo Plus Memory Card will cost you $26. This bad boy has two USB ports that are both Quick Charge 3.0 compatible. This means that you can charge multiple Galaxy S9 or Galaxy S9+ at the same time at full speed. 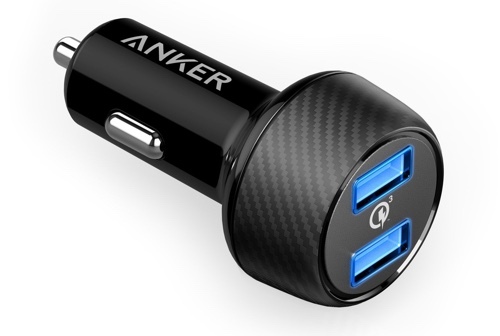 But that’s not all, since this car charger from Anker features PowerIQ as well, this means that it will charge almost every device you have at full speed, absolutely safely. The Anker PowerDrive Speed 2 will cost you $19.99. Don’t want to charge your Galaxy S9 or Galaxy S9+ using wires? Then this Qi Wireless charger from iOttie is all you need in your car. Just slide your phone in and you’ll be juicing up wirelessly instantly. How cool is that? The iOttie Qi Wireless Car Charger will cost you $49.95. 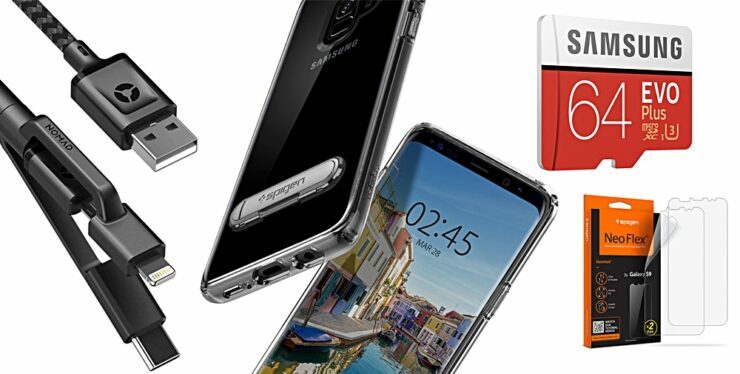 It’s a power bank that will charge your Galaxy S9 or Galaxy S9+ wirelessly with a 10000mAh capacity. But wait, the story doesn’t end there – this is Quick Charge 3.0 compatible too, which means you can top up your smartphone at full speed with a USB-C cable. Is your mind blown yet? The Meiyi Qi Wireless Power Bank will cost you $39.99. 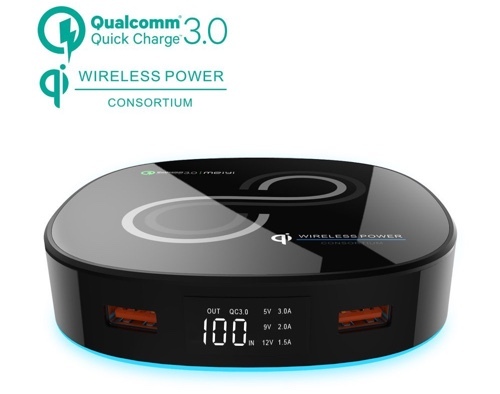 It’s easy to find a single port Quick Charge 3.0 charger, but things get better when you are dealing with two ports of high speed power in one place. 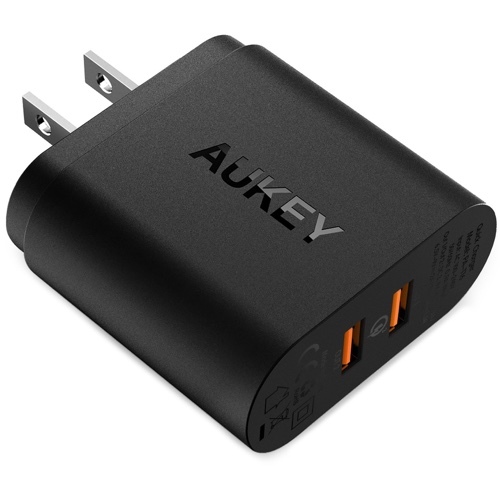 The AUKEY 39W charger will charge up your Galaxy S9 or Galaxy S9+ at full speed while juicing up any other device you may have such as a tablet, or your friend’s iPhone. I’m sure you get the idea. The AUKEY 39W Charger will cost you just $21.99. That wraps up our list of the top must-have accessories for Galaxy S9 and Galaxy S9+ users. Did we miss some accessories? Share your recommendations in the comments section below!